Color of country: GDP growth on an annual basis adjusted for inflation. 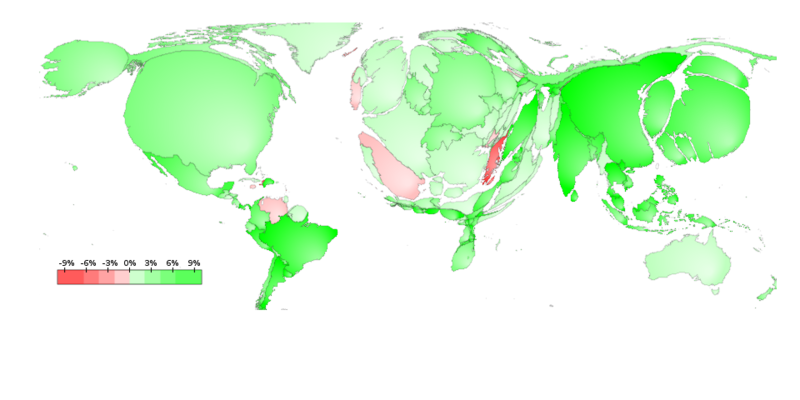 Size of country in rescaled map: total GDP in USD (size of economy). Data sources: CIA Factbook for GDP data. Natural Earth website for shapefiles of the world. Model for rescaling: Based on modified version of the algorithm described in the paper by Min Ouyang and Peter Revesz. 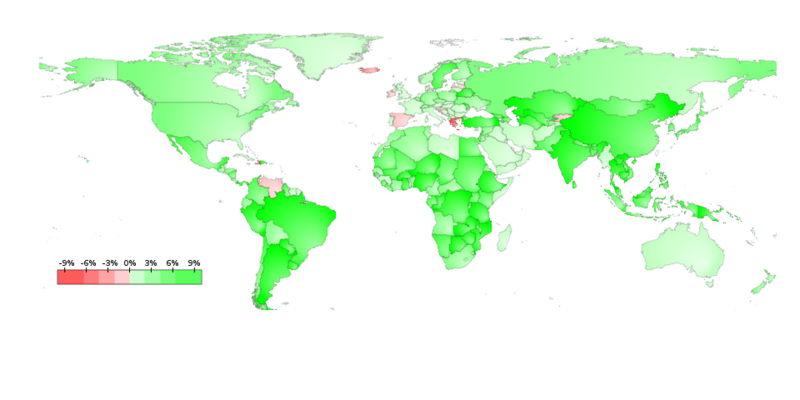 This entry was tagged data visualization, gdp, map, world by korneelvdbroek. Bookmark the permalink.